Sphere of Light: Now Over 70,000 WORDS! I am beginning to discover that editing is perhaps the hardest part of writing a book. The story is also looking more like a story. For that, I wouldn’t have to feel too embarrassed with my writing. The most awesome thing actually is reaching 70,000 words in the manuscript! 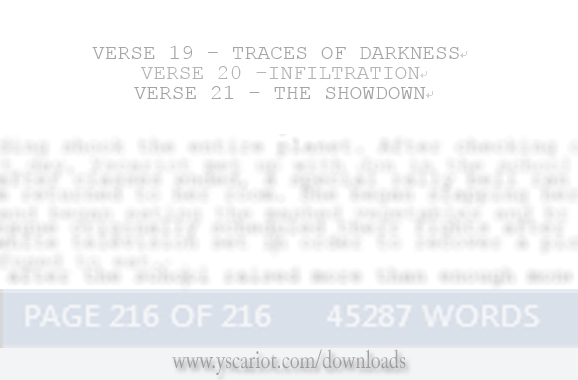 That’s over four to five thousand words from its first completion! So, I have done it. I have exceeded the word count necessary for my story to be considered a novel. Here is a leak of the next three verses of my story. I believe I have about 3 more verses to go before the end. Then I can go back and make “elemental” improvements and corrections in my own writing.